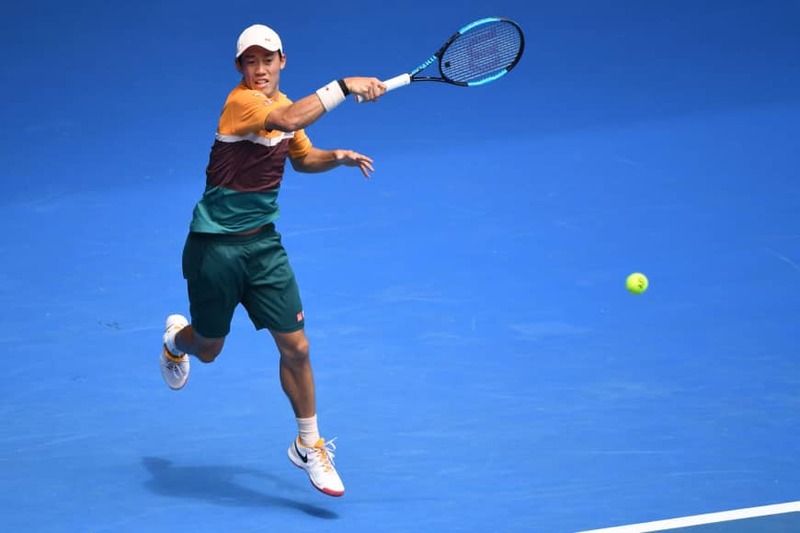 MELBOURNE, AUSTRALIA - Kei Nishikori survived a dramatic Australian Open first-round match Tuesday after his Polish qualifier opponent retired with cramps in the searing heat having raced to a shock two-set lead. Eighth seed Nishikori of Japan won 3-6, 6-7 (6-8), 6-0, 6-2, 3-0 but the scoreline fails to tell the story of world No. 176 Kamil Majchrzak’s torrid end to the match. 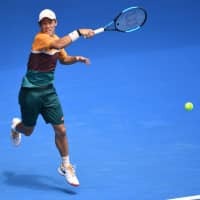 Majchrzak had never before played in a Tour-level event other than Davis Cup ties but showed no sign of nerves against Nishikori, who won his 12th ATP Tour at the Brisbane International warm-up. It was the young Pole’s first ever match against a top 50 opponent but you would never have known it as he took a two-set lead with a succession of blistering winners off both wings. “I have to say he had it today,” conceded Nishikori. “He played very well and it was unfortunate how it finished. At the start of the third set with temperature pushing into the mid 30s C, the 23-year-old began to cramp so badly that he could hardly grip his racket. The physio was called and gave Majchrzak some pickle juice to drink after he reported pain in both thighs, both arms and his right hand. It was a heart-wrenching sight as a tearful Majchrzak was left almost unable to move and Nishikori dropped only six points as he professionally eased to the third set 6-0. Majchrzak had more treatment and was given some medication and massage that helped him emerge for the fourth. He finally began to regain some movement and broke a run of 10 consecutive losing games to a huge cheer. But Majchrzak had nothing more in the tank and sensibly called it a day midway through the fifth set leaving Nishikori to thank his lucky stars he made it through. “I was trying to play but he was playing amazing tennis (in the first two sets),” said Nishikori.